In the good old days two years ago, taking a taxi was an anonymous, largely cash based transaction, a Silk Road of transportation. But now that people are taking Übers, they have to be a lot more careful about throwing bitchy tantrums at their drivers, because if you treat your driver like a servant he is going to treat you like Marie Antoinette, and guillotine your reputational head. Taxi culture is feudal: the driver/peasant is at the mercy of an unknown passenger/noble. The passenger holds the purse string, can demand unreasonable climate control settings, can insist on type of music and volume, can soil the space he occupies, can jump out at a red light without paying. A taxi driver has no recourse. Like the rest of the service industry, he is armed only with a “We reserve the right to refuse service to anyone” sign; but has no way of knowing to whom he should refuse service. Über culture transcends servitude. With drivers’ ability to rate their passengers, backseat behavior becomes self-conscious and considered. A ride in the backseat of an Über feels more like carpooling with a friend’s extended family member: you may not like him but you don’t want your friendship-well poisoned. The Über driver is an entrepreneur; this is her business, her car, her bottle of water for offer in the cup holder. Her car is clean, her manner professional and so are the passengers she can choose to pick up. 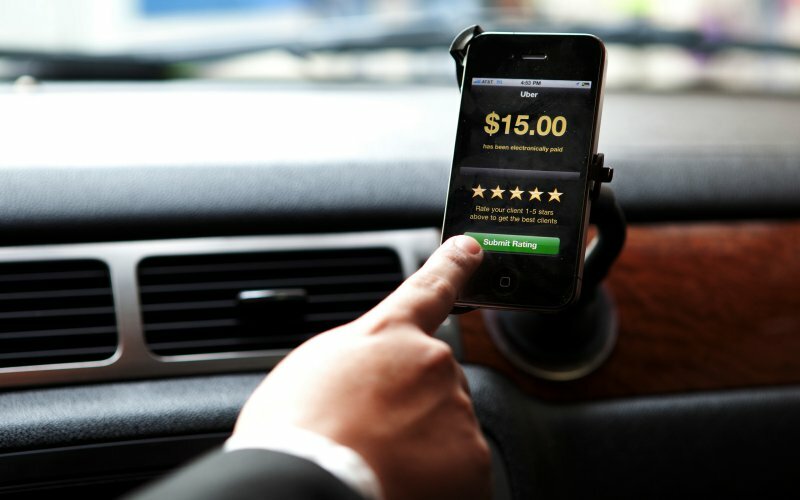 A poor passenger rating gives the driver an option to decline the ride, to wait for someone better. The Über bar is set at civility. Über is a disruptive innovation. But the disruption doesn’t stop at the way humans get around cities. What begins with an initial virtual interface, via an App on a smartphone, actually concludes with humans behaving as their higher selves. Act badly and you may be stuck on a street corner watching little black cars pass you by on your smartphone. Originally Published Feburary 28, 2015.